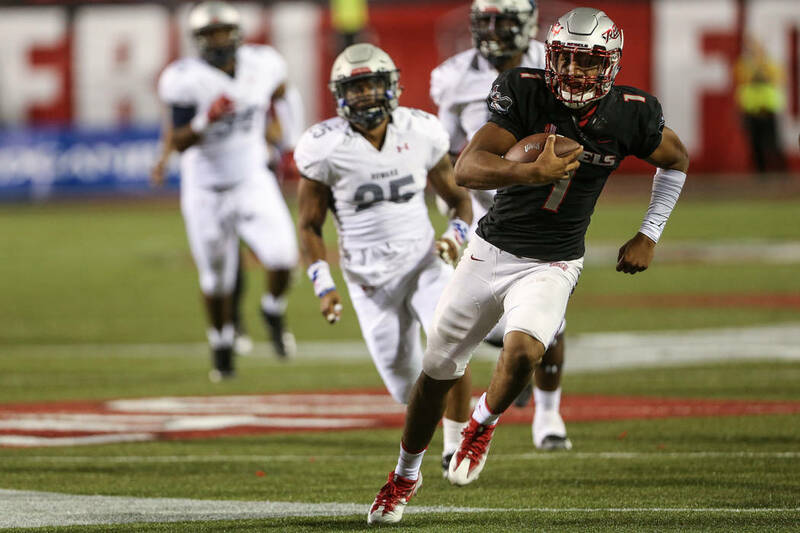 UNLV put together a conservative gameplan last Saturday against Howard. The Rebels won’t be so careful in a must-win football game this Saturday at Idaho. MOSCOW, Idaho — UNLV coaches went into the season believing they had a special quarterback in Armani Rogers, one who could change a program. But in last Saturday’s opener they didn’t want to overwhelm a redshirt freshman about to take his first college snaps, so they designed a game plan of mostly one handoff after another. Now, just a week later, plans have changed. Which means to expect Rogers to use more of his skill set when the Rebels (0-1) play Idaho (1-0) at 4 p.m. Saturday at the Kibbie Dome in what already is a must-win game for UNLV. ESPN3 will stream the game, and the Vandals are 6½-point favorites. 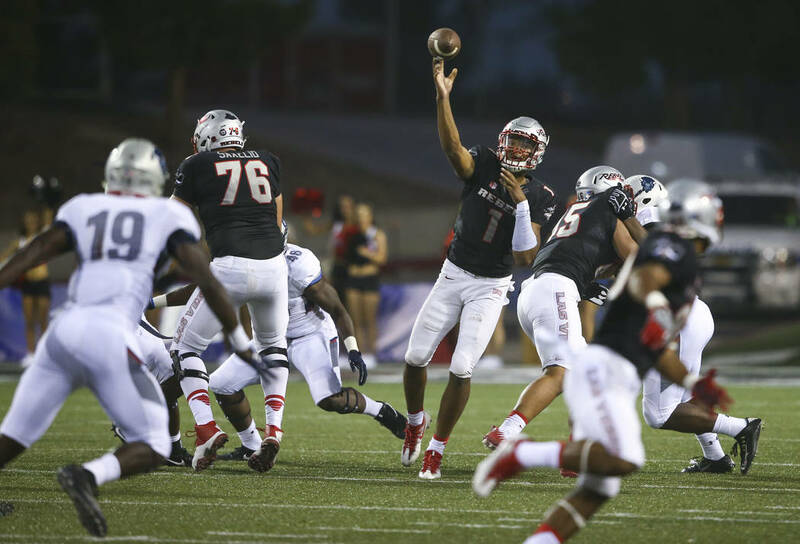 UNLV will try to respond from its season-opening 43-40 loss to FCS member Howard, a game in which the Rebels were 45-point favorites. The fan fallout from that game was enormous, and at Tuesday’s weekly news conference, Sanchez was even asked about his job security. There is no hint he’s going anywhere any time soon, but a loss to the Vandals certainly won’t calm the unsettled fan base, especially with a bye next week followed by a trip to No. 2 ranked Ohio State. So a loss to Idaho all but guarantees an 0-3 start for a team that Sanchez had promoted in preseason as a possible bowl contender. A postseason berth still could happen if the Rebels beat the Vandals. 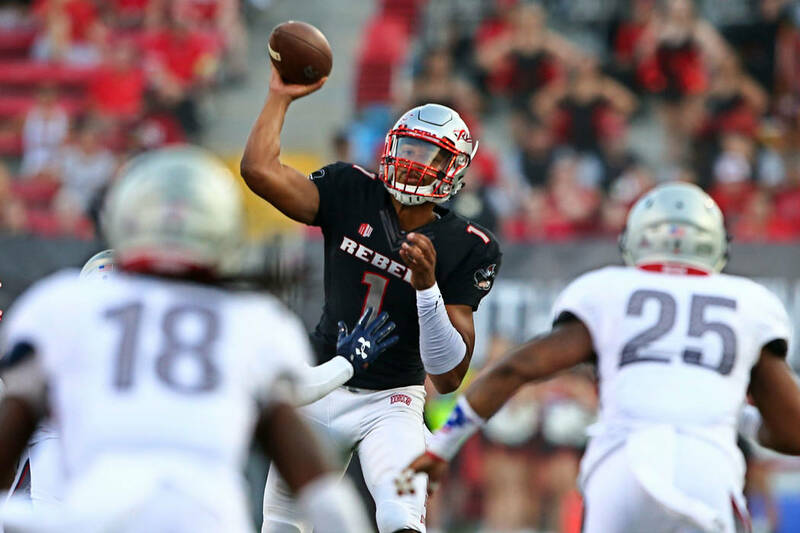 A victory over Idaho, which last season defeated the Rebels 33-30 in overtime at Sam Boyd Stadium, at least gives them hope. “Winning Saturday is huge,” Sanchez said. “You have that tough loss, and now all of the sudden you walk around with a heavier burden on you. I think regardless of who we lost to on Saturday, we’d feel the same. When you believe in what you’re doing and you know you’re good at what you do, it’s not who you lost to. It’s the way you go about it. Part of that hope lies with having Rogers, a 6-foot 5-inch, 225-pounder with the tools expected from a top player at the sport’s most important position. He will face an Idaho defense that last week allowed Sacramento State six points and 190 yards — 95 rushing and 95 passing. In his limited opportunities against Howard. Rogers completed 11 of 19 passes (two were spikes) for 220 yards and a touchdown, with no interceptions. He also rushed for 82 yards on nine carries, a 9.1 average. Now he will be asked to take more chances — and in a game that will shape the rest of UNLV’s season.